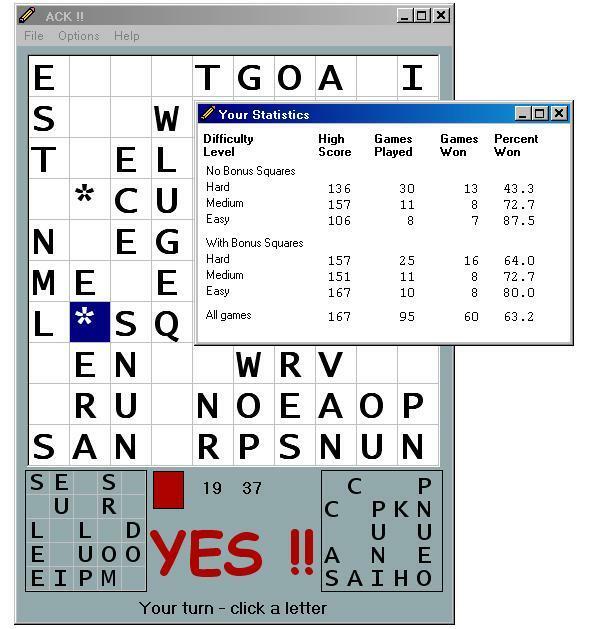 Do you enjoy word games? Try the latest challenge for free. Click on the link below to download the game and try your word knowledge against the diabolical Ackerman. Ack!! 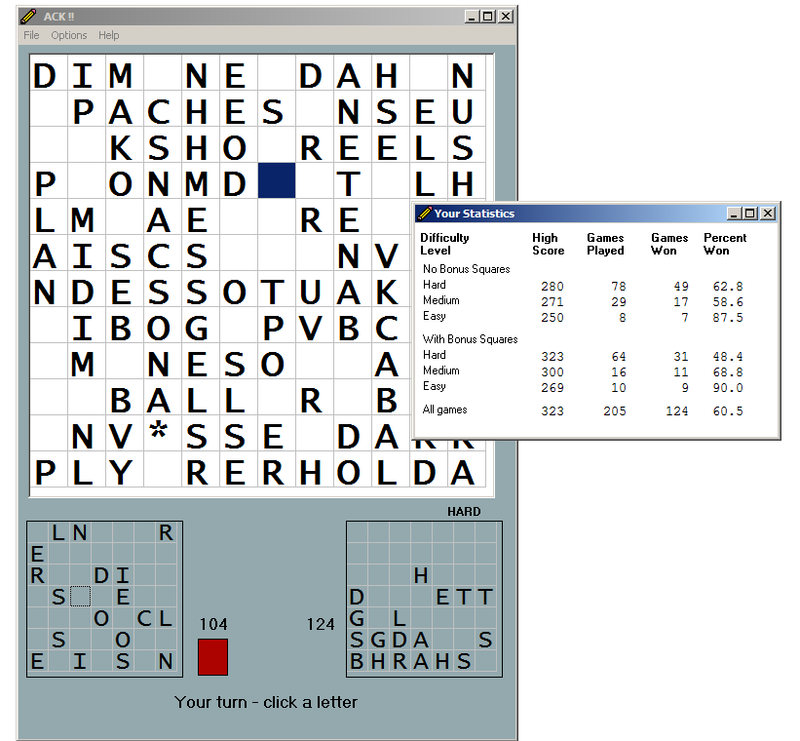 now comes in a Maxi version (144 squares) for those who want a real challenge. It's about culling out unneeded letters early in order to win in the end game. I understand the game is free for personal, non-commercial use only. By clicking on the download link I agree to these terms. I agree. Download AckMaxi now. Ack is available only for Windows. Just save the zipped file in whatever directory you want and unzip it, then double-click on the Ack !! icon to play. It is not necessary to install it. You must have WinZip or some other utility to unzip the file. Instructions on how to play are included. My cipher analysis page for ACA ciphers. The Red Machine - if you like a good spy movie. My geocaching profile - if you are interested in geocaching.